EUR is getting weak due to the Unemployment Change report in Germany. The support rests at 1.11990 with resistance at 1.12310 which the weekly pivot point at 1.12040 is located in between the lines. The EMA of 10 is moving with bearish bias falling down within the descendant channel towards the EMA of 100. The RSI is moving below the 50 area, the Stochastic is moving in low ranges showing downward momentum and the MACD indicator is in positive territory heading down. 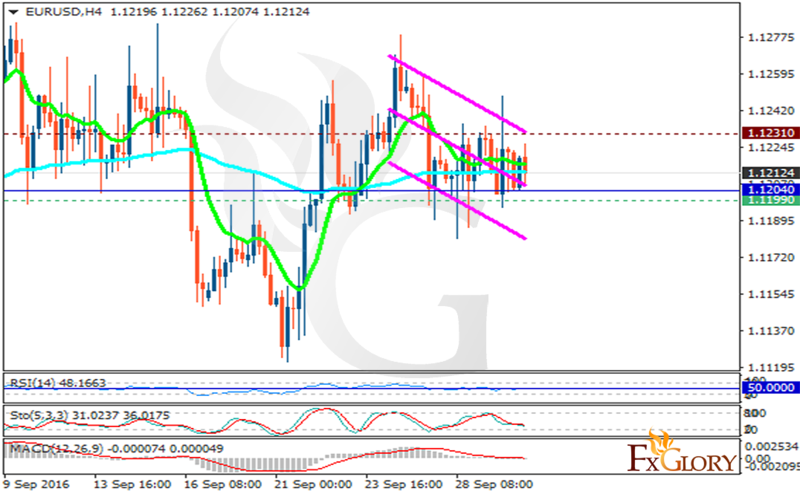 Sellers can target 1.1150 before the pair starts its growth.